The photo album is a memento of German families. In it life takes place chronologically, again and again callable and beautiful to look at with a lot of time colouring. 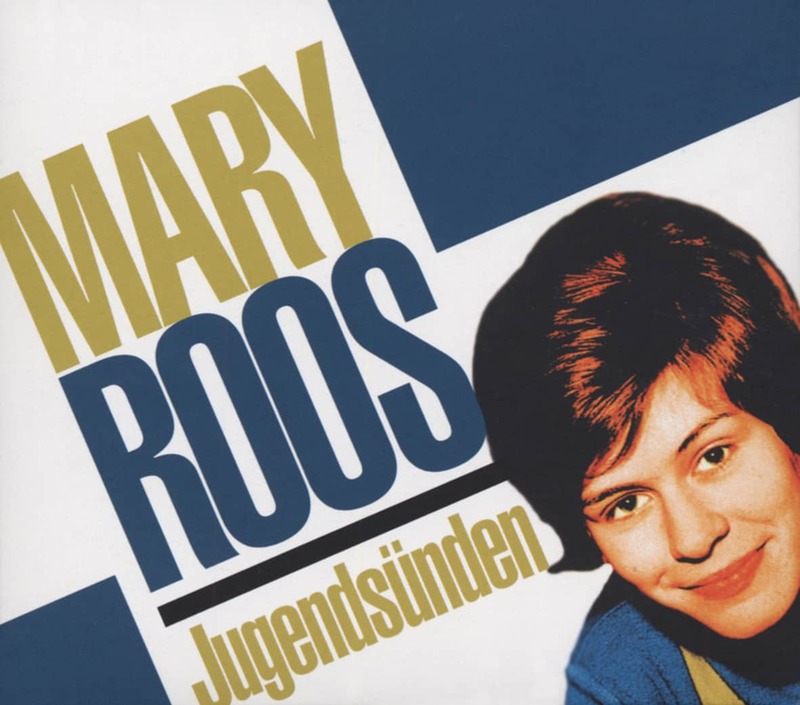 Mary Roos has only one small album, and she didn't even create it herself. It comes from the director of her fan club and shows the singer's autograph cards - right from the start. Mary Roos keeps her personal photos in a big box in a pleasantly nonchalant way, there are large formats next to small pictures, black and white photos next to colour photos. For example a scene with the black African singer Max Kutta, whom she met on a tour and who was later killed by his wife. Or a picture with Cornelia Froboess - once a child star like Mary, who was initially called Rosemarie. When you rummage in the box, the whole hit scene appears - from 1958 on. On April 30, 1958, a'public big colourful evening' took place in the Stadthalle in Bingen am Rhein, "followed by a dance into May. It's inviting: Union of German Railway Workers". Participants'from film, radio and television': Willy Hagara and... Rosemarie Schwab. Behind her name in parentheses was'Bingen'. Her parents, Maria and Karl Schwab, owned a hotel in which little Rosemarie (born on January 9, 1949) had her first contacts with show business. In the hotel, the entertainment programme included a 5 o'clock dance tea, which was performed by friendly musicians. According to Mary Roos, the parents, who were concerned about the independence of the children, always had their first-born children sing along to the band - under supervision. Later, too, they watched over Rosemarie, but gave her the freedom to get into the pop music business. "They let me do it, had a lot of faith. There were few bans. My father was an absolute gentleman. And the mother would have been on lookout if they'd robbed the Kreissparkasse. Two absolute opposites." Logically, it was the mother who negotiated with producers and signed contracts with record companies. The impetus came from the composer Karl Götz, who experienced the singing daughter of the house in the hotel in Bingen. He had the self-written Polka Ja, the Dicken are so comfortably ready and took them to the studio in Bruchsal for their first recording. Mary Roos: "This was a huge hall, because of the good acoustics in cinemas at that time." A second title, I am always so happy when holidays are (holiday polka), had at least reference to the artist. 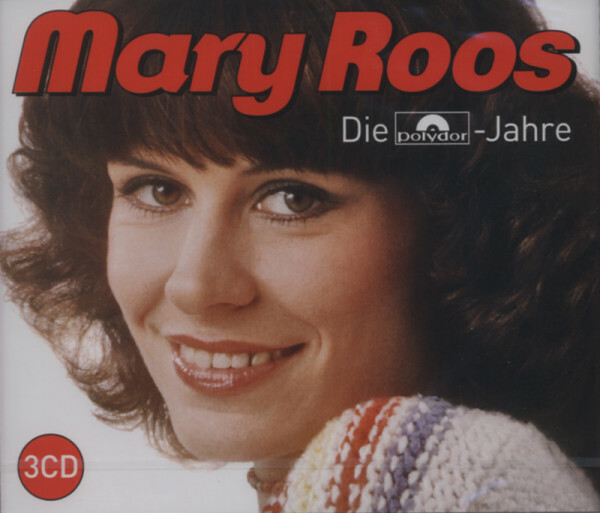 The little Rosemarie got her first contact to studio owner Horst Heinz Henning and released her first single on the Hamburg Metronome label. Henning should still play a big role in her life. However, it took ten years for her name to reappear on a metronome record. 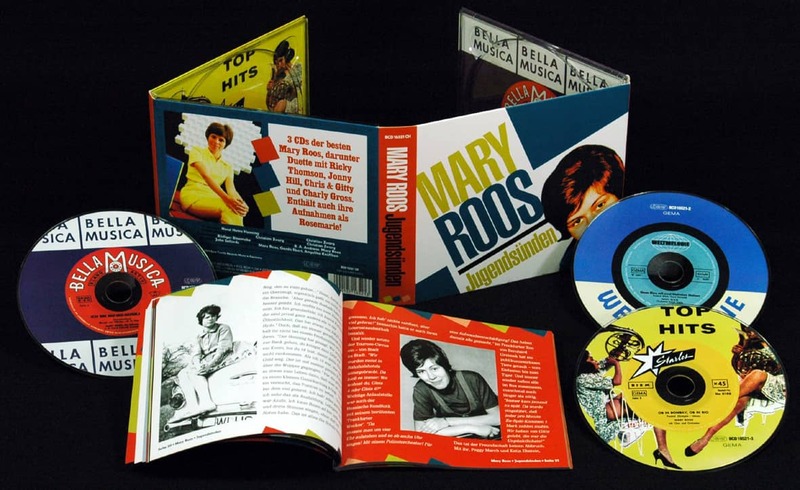 The Hamburg Polydor, who achieved commercial success in 1958 with the two years older Gabriele Clonisch from Bavaria, soon showed interest in Rosemarie and brought her together with professionals: with producer Werner Cyprys, orchestra director Horst Wende and the authors Lotar Olias, Charles Nowa and Carl-Ulrich Blecher. Karl Götz also supplied material. His Little Teenager song written for his protégé even ended up in the movie'Die Straße' (with Heinz Drache). The contract with Berlin-based Rex Film brought in 500 D-Mark Gage for the short appearance in'Die Straße'. A lot of money in a time in which appearances in the double-digit range were remunerated. She and her parents were telegramed to Hamburg by producer Schmidt-Norden: "Expect a double room with daughter Rosemarie at noon STOP Hotel Bellevue orders STOP. Götz was also there to rehearse the title with her. And Cyprys always practiced diligently with her so that she would drop her dialect and not lisp so much - due to a gap in her teeth. They tried a lot with her - from the yodel rosemary ("I love to sing where the Alps glow") to the'rock'"I want to be 16 years old" (text: "But I can sing the Rick'n Rack'n Rock 'n' Roll"). The hope that she could sing with Louis Armstrong in the film'La Paloma' vanished. Producer Gerhard Mendelson had already launched his child star Gabriele for Uncle Satchmos Lullaby. But neither for Gabriele nor for Rosemarie did Polydor develop a lasting career. Customer evaluation for "Die Polydor Jahre (3-CD)"